Here is your chance to honestly evaluate your own communication style. 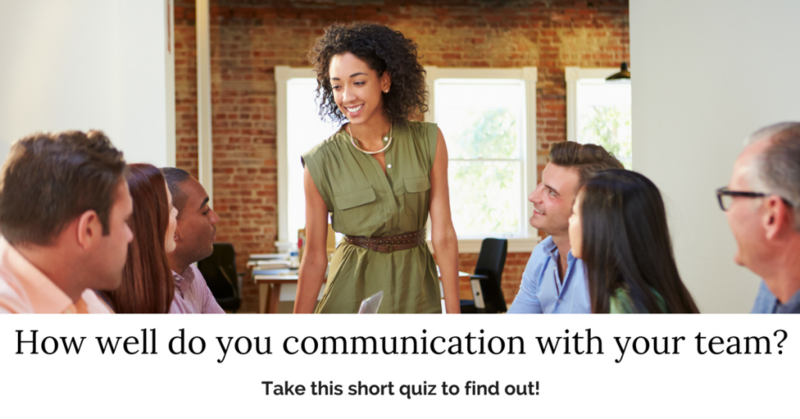 Have a think about some recent communication you have had with your team and take the quiz to find out if you are as good as you think you are! How good is your communication with your team? Communication skills are some of the most important skills that you need to succeed in the workplace. Poor communicators usually struggle to develop their careers beyond a certain point. So, are you communicating effectively with your team? Take this short quiz to find out.